Mr. Barton of Texas: Mr. Speaker, at this period when the international community is reflecting on World War II, new information is surfacing changing how some key figures in that conflict will be remembered in history. 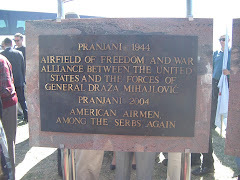 During the past 40 years, a group of American fliers have been attempting to clear the name of a Yugoslav general who saved their lives. 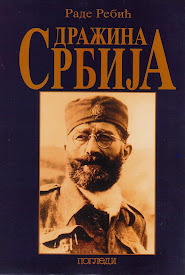 We now know there was an organized effort to discredit Gen. Draza Mihailovich as a Nazi collaborator. After four decades, the release of previously classified documents casts light on what may have been one of the most successful Soviet campaigns of disinformation ever conducted. 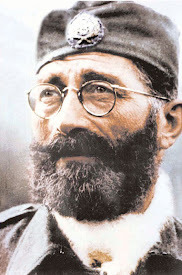 The target was General Draza Mihailovich, leader of Yugoslavia's Chetnik guerrillas who rescued some 512 American airmen during World War II. For years many of those airmen have been trying to clear the name of the anti-communist guerrilla leader who rescued them. 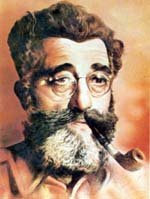 Initially hailed as a hero by the Anglo-American allies for his guerrilla campaign against the Nazis, Mihailovich was abandoned at Russian insistence at the Yalta Conference in favor of Tito, who was leading the communist Partisans in Yugoslavia. 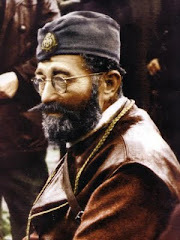 After the war Tito executed Mihailovich on charges of collaborating with the Germans. 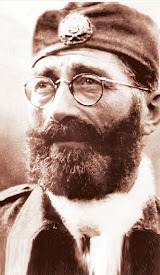 But the American flyers, who lived with the Chetniks until they were evacuated, have been saying that Mihailovich was a Serbian patriot who fought hard against the Nazis in the hope of establishing a democratic government in Yugoslavia. 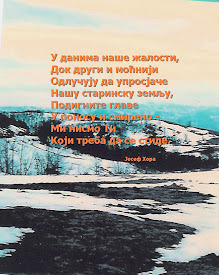 Now the release of formerly top secret intelligence reports from a team of OSS agents that spent ten weeks in Yugoslavia during World War II, together with the release of formerly classified British documents, confirms that the charges of collaboration were fabricated by Soviet agents. The central figure in this conspiracy was James Klugman, a member of the executive committee of the British Communist Party, considered the most brilliant of the "Cambridge Group" of Soviet agents organized by British master spy Kim Philby. Early in 1942 Klugman gained assignment to the British Special Operations station in Cairo, where he was responsible for allied intelligence collection in Yugoslavia. 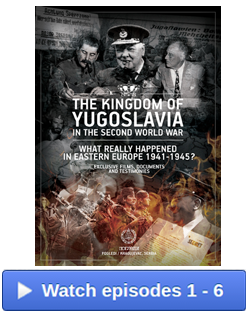 In this key position, Klugman controlled intelligence reports from Yugoslavia, systematically suppressing those that were favorable those that were favorable to Mihailovich and the Chetniks. Klugman revised or misdirected airdrops of supplies to Chetnik forces and with the help of Philby in London was instrumental in convincing the British Government that Mihailovich was a collaborator. 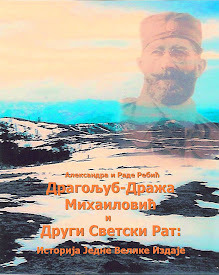 "On the contrary, there was ample evidence the General [Mihailovich], the field commanders and the Nationalist political leaders were filled with a burning hatred for the Germans much beyond that held by British and Americans." 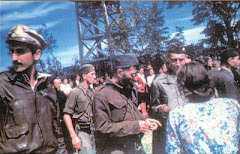 Recent revelations by Milovan Djilas, once Tito's deputy, indicate that the principal aim of Tito's Partisans during World War II, as with communist resistance movements elsewhere, was to win the civil against the nationalist Chetniks. The communist's victory ws sealed when they executed Mihailovich, their rival for national leadership. 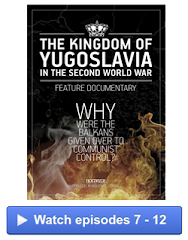 Yet the disinformation campaign conducted by Klugman and Philby, and perpetuated by the Yugoslav communist government, was so successful that the belief persists 40 years after the war that Gen. Mihailovich was a Nazi collaborator. The surviving American flyers now believe that the declassified documents finally have cleared the name of the Yugoslav patriot who saved them.